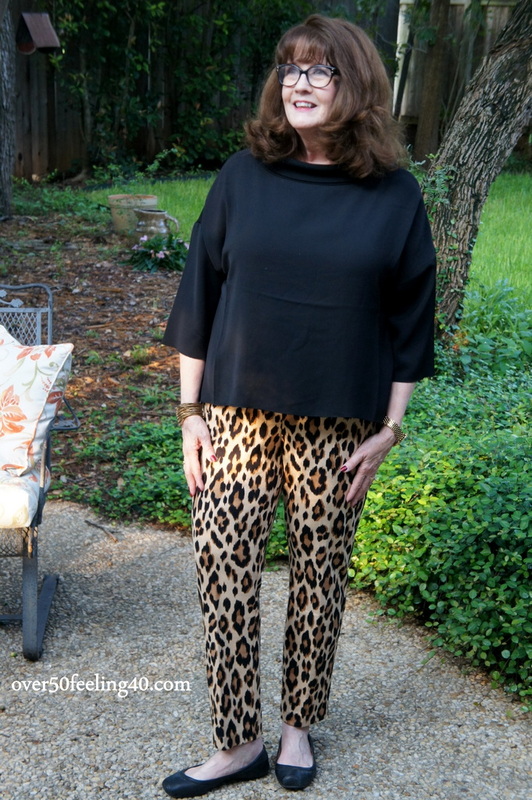 Followers of this blog know I love leopard and wear it often in the fall and winter…I think all over 50 ladies should give a little leopard a try. I am so excited to see new leopard on the market…it is one trend which has endured time. But, I do try to keep my leopard under control. Leopard is like potato chips! Once you start, you can’t stop! 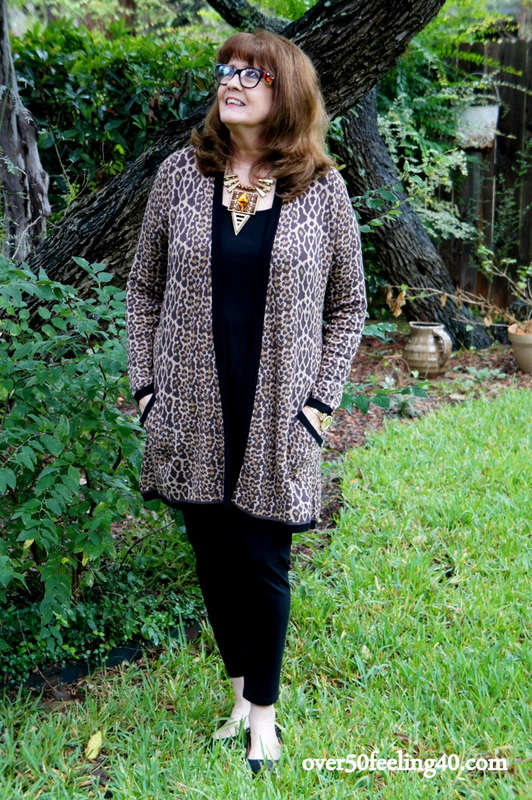 I love leopard accessories, and I am getting brave enough to wear leopard jackets, ruanas, and sweaters. (not to the pants stage yet, but it won’t be long!) Love all your outfits here Pam! – and that statement necklace last pic! Killer!! Love this, Betty!! Leopard is like potato chips! But a lot less calories! Happy Thursday…. I love touches of leopard, myself. Somehow, the pattern and colors help elevate a look. You look great in each piece. 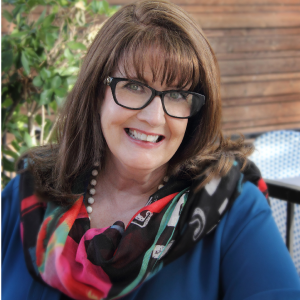 Thanks Diana…just wanted to demonstrate all the ways it can be worn! I think leopard is so fun & adds a real flair to any outfit! It is fun, Cindy. Anything but boring! 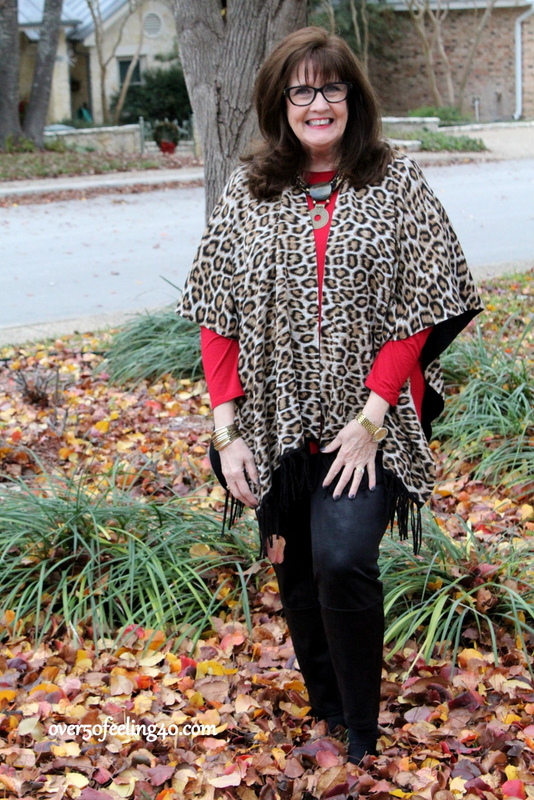 Love Leopard – started wearing it in 1960, still wearing it and looking good ! I love leopard. My way of wearing it is one piece of leopard per outfit. Otherwise you can look like you’re in camo for a big game hunt. Also, I like natural-looking animal prints… no purple or neon animal for me. I love all your leopard pieces! 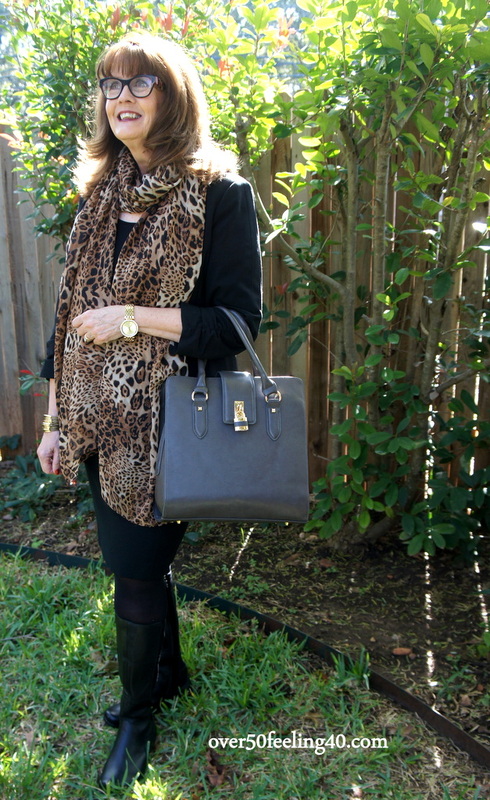 Leopard is always fun, classy and timeless! I have a few things leopard and love them! 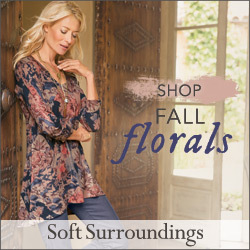 Great looks fo fall and winter!! Count me a leopard fan too although most are in unflattering colors for me. It looks so fabulous on you Pam!! Your spots are lovely. I might just have to start looking for spots too! 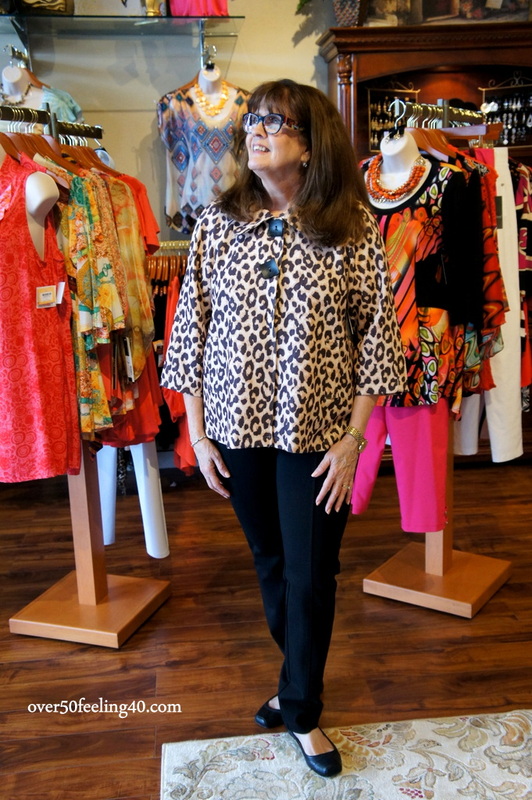 I gravitate towards leopard when I see it on the racks. I have several pieces in my wardrobe–tops, jackets, shoes, but wear one piece at a time, not to overdo it on my petite figure. Pam, you look great in the pants, but I am not yet courageous enough to try a pair myself (but you made me think about it!).  I am small enough to wear a girl’s size XL, and just yesterday I picked up a lightweight zippered jacket in the girl’s dept., and yes, it was leopard on the front & back with long black sleeves. I love the jacket you are wearing. I have many leopard pieces and it’s true, once you start, you can’t stop. It’s the perfect “punch” to neutral pieces like black, tan or shades of brown. I especially love my leopard shoes. My mother used to have this nightgown and robe in leopard that she wore all the time and we named it “The Clapper” as in “clap on, clap off” from the ad for the Christmas tree lighting gadget. My sisters and I buy each other Clapper gifts all the time and we have a lot of fun with it. Yes to leopard shoes, bags and tops but not to pants for me. I have a pair of black/white zebra flats and also leopard and wear them a good deal. Great post and photos, thank you. Ha ha, I’m not sure you’ve kept it under control. You have so many nice options. LOVE leopard! Other animal prints too! I don’t wear them much in summer but throughoutthe rest of the year I do, one piece at a time. No pants yet but have tried some on. Lovely post. I know many people love leopard and animal prints. If you have warm colouring it is a great way to wear your neutrals (thinking of Jill Chivers and her love of animal prints}. I am more of a flower print person and am not personally attracted to animal skin prints. I like butterflies too. The leopard print shoes are totally cute though! I am a member of the leopard club too. I have a dress and one pair of pants, all thrifted.